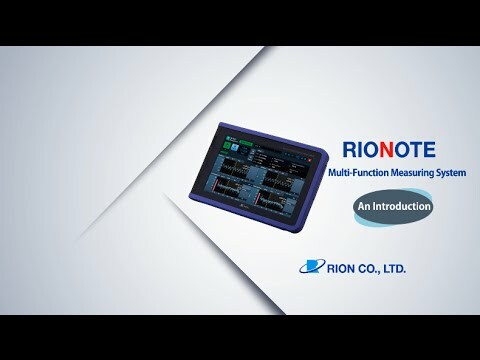 Rion has developed the RIONOTE with the goal of combining portability with powerful noise analysis capabilities, allowing the RIONOTE to let you perform measurements and analyse data that is all able to be viewed on the RIONOTE's modern user interface. The RIONOTE allows you to record waveforms (.wav format) straight out of the box. The RIONOTE can record waveform data at resolutions up to 51.2kHz and 24bit, waveforms can also be triggered on a range of parameters including various waveform parameters, time or an external trigger signal. Able to record a wide range of environmental data including Noise, Vibration, Rotation, Distortion etc. 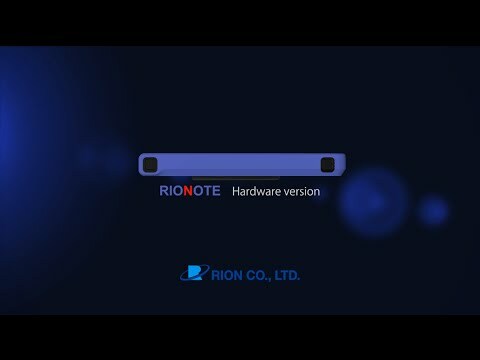 The RIONOTE is available with a 4 channel or 2 channel signal interface. 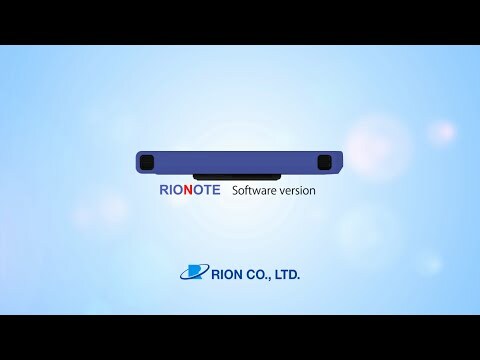 The signal interface unit's slide into the back of the RIONOTE and allow users to quickly change the configuration of the device. The RIONOTE base unit (SA-A1) is available to be purchased with the following options to extend it's functionality. 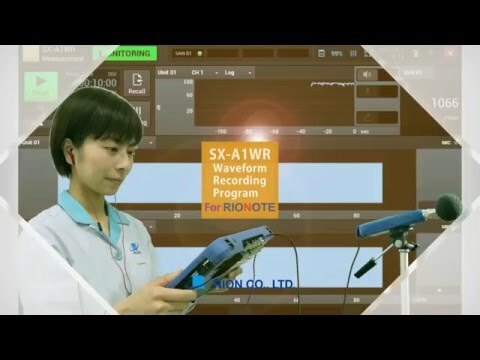 SX-A1WR (Included as Standard) The SX-A1WR allows the RIONOTE to record and analyse high resolution waveform data. 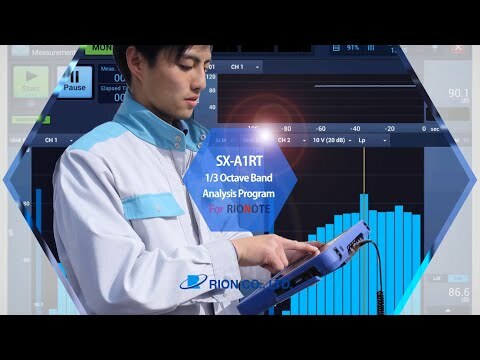 SX-A1RT The SX-A1RT allows the RIONOTE to measure and display 1/1 and 1/3 octave data in up to four channels simultaneously with a frequency range of 0.4Hz to 20kHz. 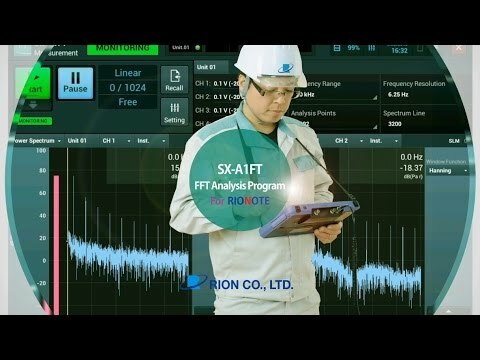 SX-A1FT This program card adds FFT analysis capability to the RIONOTE, with an analysis frequency range of up to 20kHz and over 16000 analysis lines.